If there’s one thing my lil’ Ms. GJG distinctly likes doing with me, it would have to be cooking. Sometimes, she doesn’t like me as her playmate or as her teacher. But it’s no fail that she always likes me as her sous chef. Whenever we’re in the kitchen, we’re one. It’s our thing together she and I. Because her ates (our helpers, yes we have na!) can always play with her and her dad can also teach her but only me, her mom can be alongside her as cooks of the family. At least that’s what she thinks. We’ve made it appoint to bond over cooking. You know, I often say this because it is true: kids grow up so fast. As in super fast. So I’m trying to squeeze in pockets of bonding time with my kids. So even if they grow older, the memories that we once created will forever be remembered. With that I am thankful that I get to eat merienda with my lil’ Ms. GJG. By the time she goes to a big school a year or two from now, naku bye-bye merienda time na as she’ll be in school almost the entire day. Waaah. So one afternoon, Gabbie and I decided to cook merienda. Good thing we found this Del Monte Spaghetti merienda pack in the grocery and bought it. The irony though is, only twice a year do Filipino families cook and serve home-cooked spaghetti. Grabe, I didn’t know that! Oftentimes, home-cooked spaghetti is associated on special occasions such as Christmas and birthdays. 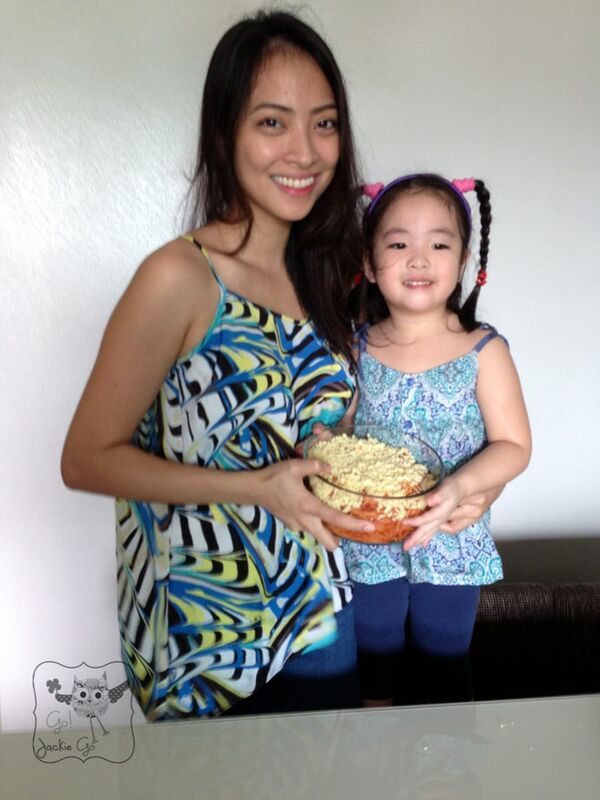 But that is about to change with Del Monte Everyday Merienda Combo Pack, you can cook spaghetti na for your family! 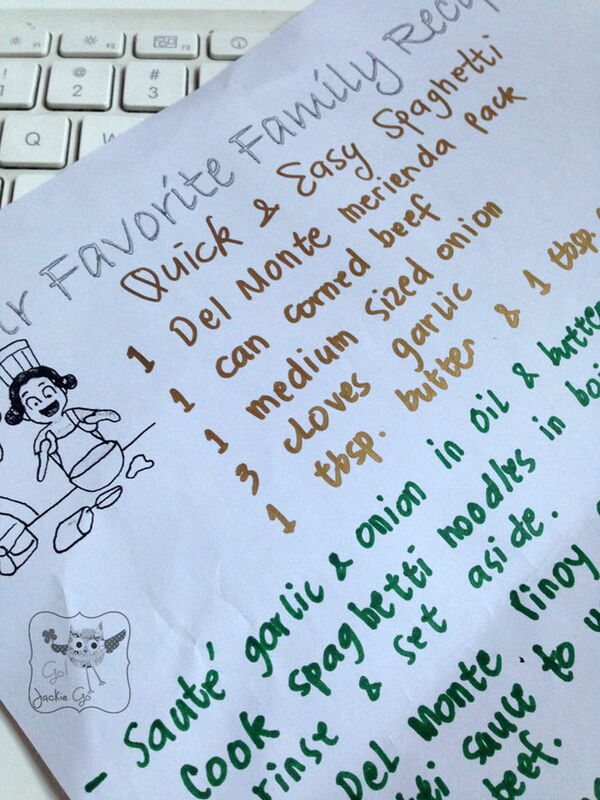 Great timing too because for Gabbie’s school activity, she was asked to share her favorite family recipe. So she shared our Corned Beef Spaghetti recipe. My mom has been whipping up this dish to me and my sisters. 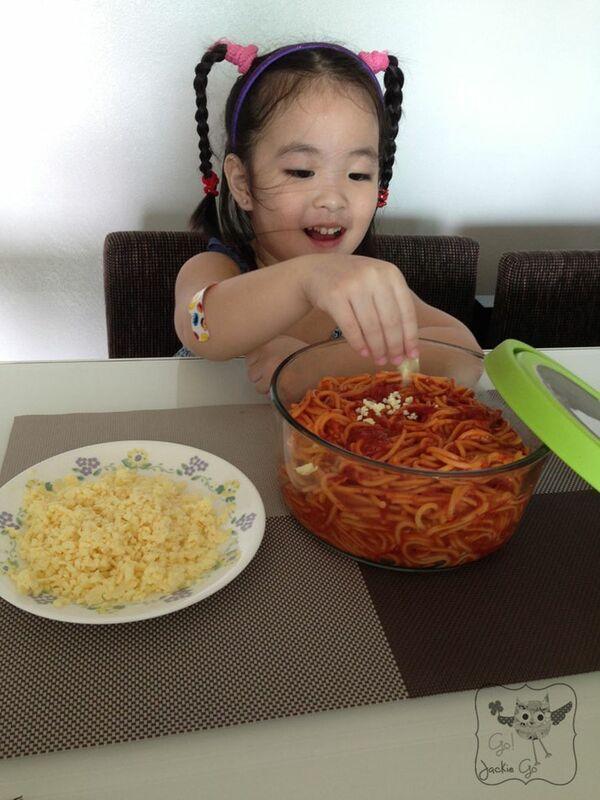 I remember whenever we ask for spaghetti, she would prefer using corned beef instead of hotdog or ground beef. It’s a great alternative and makes cooking spaghetti easy peasy. Now, that I have my own daughter to cook meals to, I follow my mom’s footsteps. 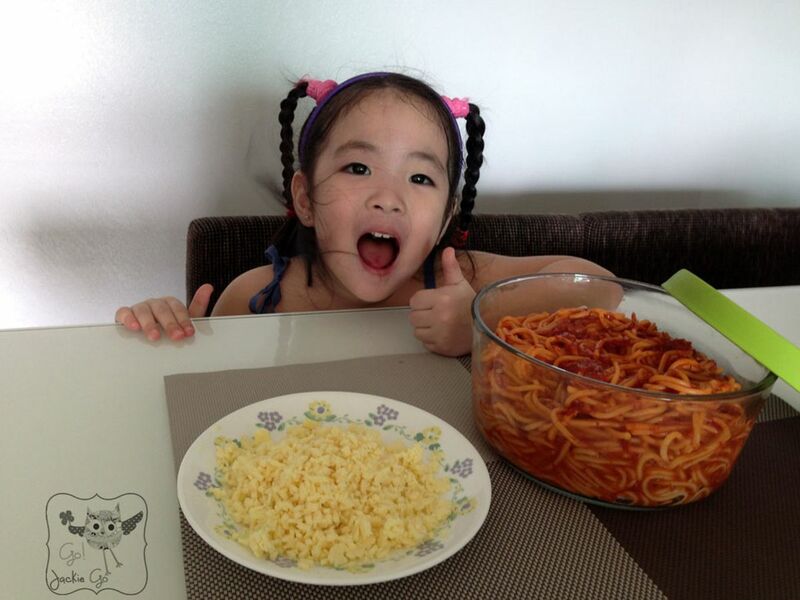 We cooked our version of Corned Beef Spaghetti together. 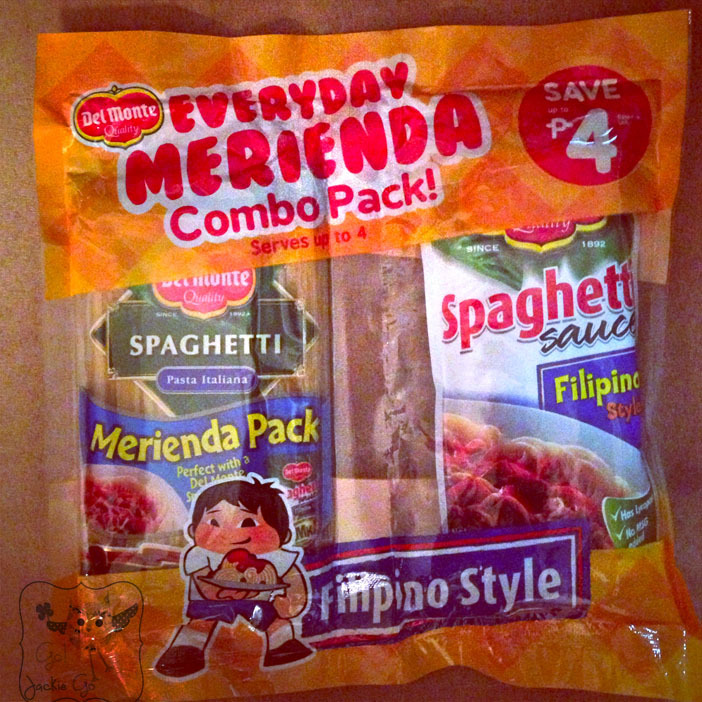 1 pack of Del Monte Spaghetti Merienda Combo Pack. Step 1: Cook the Del Monte spaghetti noodles according to package instructions. I usually let the water boil, add a pinch of salt, and drop the noodles and cook it for 8 minutes on high heat while stirring occasionally, then I turn of the fire and let it sit ther for 2 more minutes. After, I drain the noodles and rinse it with cold water so it stays al dente. Step 2: Sauté garlic and onion in oil and butter. Add the corned beef and sauté for 3 minutes. Then add the Del Monte spaghetti sauce and cook for another 2 minutes. Add salt & pepper to taste. Set aside. 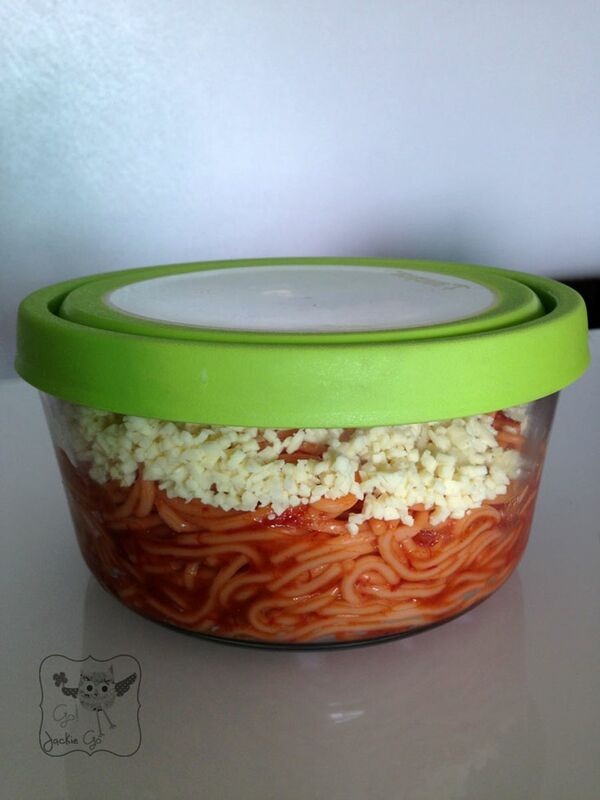 Step 3: Place the cooked noodles in a container, pour your corned beef spaghetti sauce and top it with grated cheese. I got the seal of approval from my lil’ chef! Lil’ Ms. GJG’s favorite part. Sprinkling cheese on top of our spaghetti. Viola! Our easy peasy Corned Beef Spaghetti! Aliw! Even those who are afraid to cook can do this! Gorabells and try it. For those of you who have photos of yourselves and your kids doing the spaghetti face, you might just be included in Del Monte’s spaghetti face video! Yes, artista in the making! 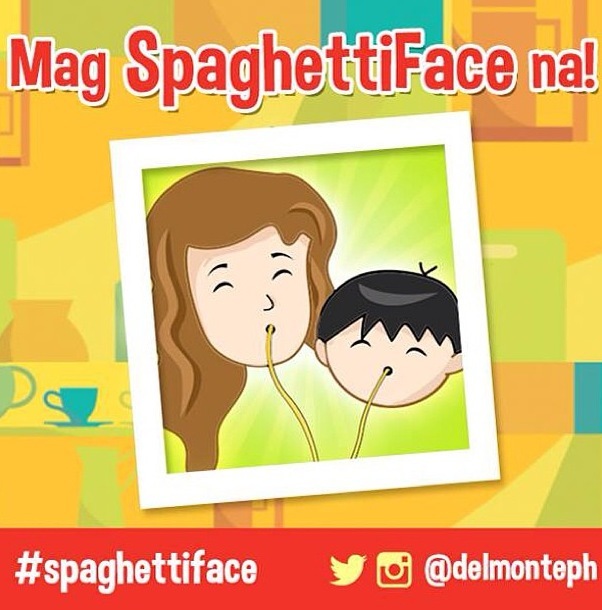 Just show your Del Monte spaghetti face of you and your kid/s on Instagram or on Twitter (via Twitpic) Don’t forget to hashtag #spaghettiface and follow Del Monte. For more information about it follow Del Monte on Twitter and Instagram. 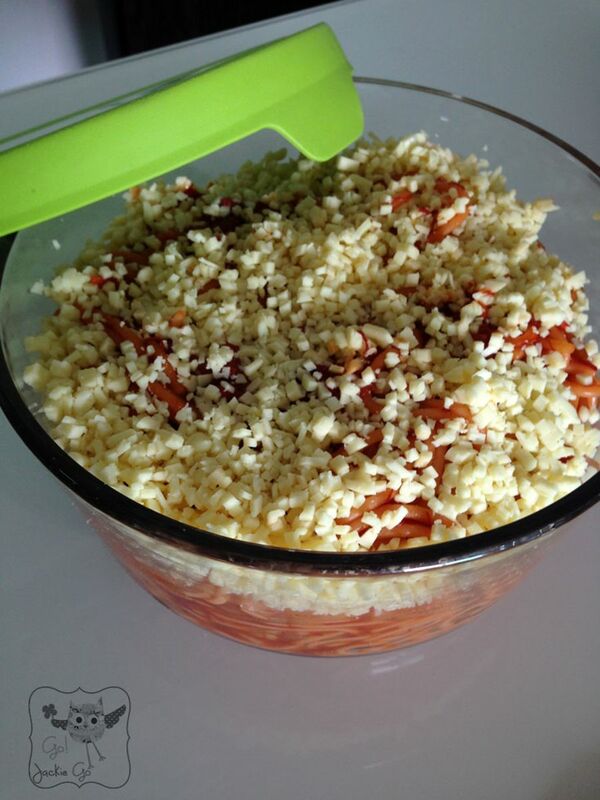 I love this post because I learn another easy recipe from you Miss Jackie! Plus, it’s always nice seeing photos of bonding moments with kids. Happy Bloanniversary! 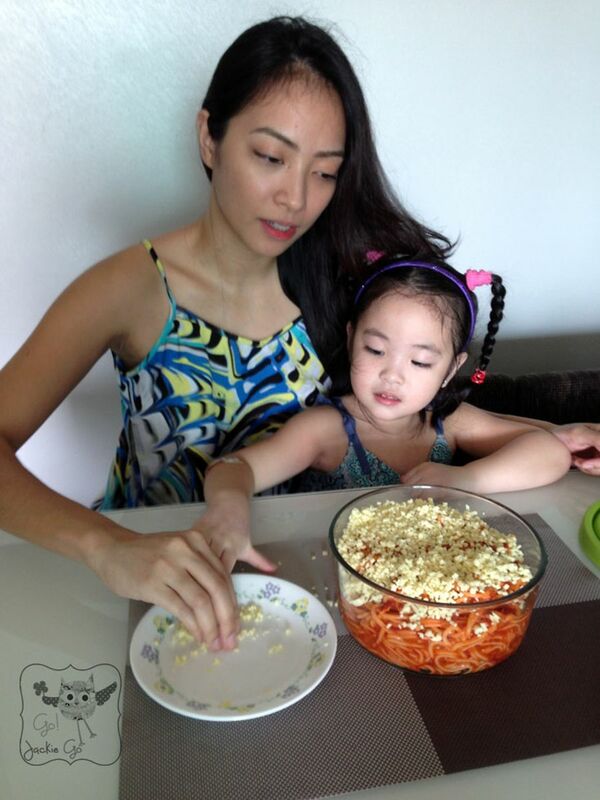 a great way for mommy and daughter to bond,my kids love spaghetti too..